I recently acquired a new toy, the Fuji x100. It has some neat tricks up its sleeve including the capacity to sync with a flash at high speeds. This allows you to control situations which would normally suffer from horrible light like being stood in the middle of a field in direct sun in the middle of the day. So when a few of us got together to shoot at a lavender farm I knew it was time to see what my new toy could do. The x100 didn’t disappoint. It’s got lots of little foibles to work around but the result speaks for itself. Here we shaded our bride with a large scrim to even the light out over her and then brought the levels back up with a flash on 1/4 power. The fast shutter speed possible meant that the flash had to work a lot less hard to balance out the sun. I’ll be putting the camera through its paces at the next wedding I’m shooting on the 30th – we’ll see how it gets on in the heat of a full wedding! Filed under portraits, weddings. 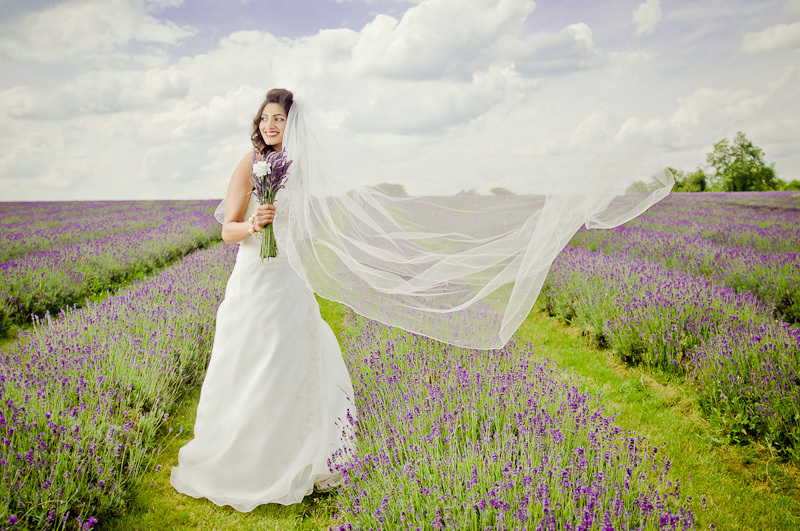 Tagged bridal portrait, bristol wedding photography, field, lavender. Bookmark the permalink.